After the revival of Nalanda University, Bihar has turned its attention to development of Vikramshila University. This is marked as another seat of Buddhist learning. “All possible efforts would be made to revive Vikramshila University like Nalanda University,” he said, adding that a committee of experts will be set up soon to look into it. 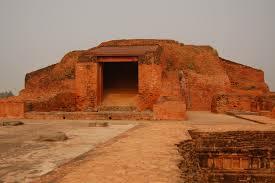 Vikramshila was among the most important centres of Buddhist learning in ancient India but the remains of Vikramshila University located in Bhagalpur district, about 150 km from Patna, have been neglected for years.